The Pacific Islands Journalism Education Mapping Project was a project undertaken with two purposes in mind. First, to build a resource on journalism education in South Pacific countries that would be useful for students, researchers and journalists in the region. It outlines journalism programmes available in the universities and polytechnic journalism schools in the South Pacific. Information regarding these programmes is available through the links provided on the project page table and working through various levels. Alternatively, each country page can be accessed through the interactive map below. A click on the highlighted country’s name will link to the relevant country page. 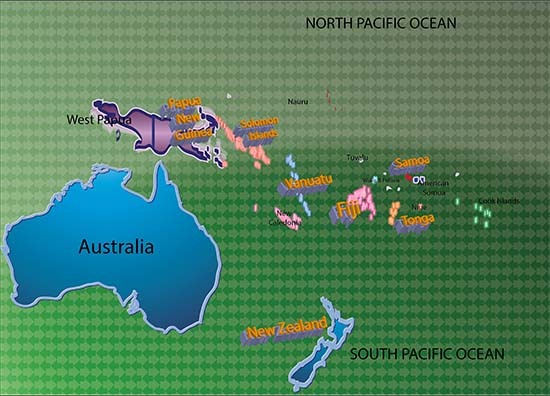 The second purpose of the project was to analyse how effective the UNESCO model for journalism education has been in the Pacific, or if it has been used as a benchmark or adopted in the universities and polytechnic journalism schools in Pacific Island Forum countries (excluding Australia and New Zealand). 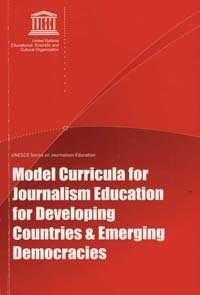 UNESCO’s Model Curricula for Journalism Education for Developing Countries & Emerging Democracies (2007) was published after UNESCO initiated a global consultation project on media education and strategies. The 148-page booklet examines the core of journalism education such as serving society by informing the public, scrutinising the way power is exercised, stimulating democratic debate and through these characteristics aiding political, economic, social and cultural development. Pacific institutions do not strictly follow the UNESCO guidelines but reflect them in varying degrees. The most striking aspect of journalism education in Pacific countries is the way it is adapted to the local and regional environment of the respective country. In a way, it is the most important aspect of “good journalism education” as the UNESCO model suggests. Read Rukhsana Aslam’s article in full here.